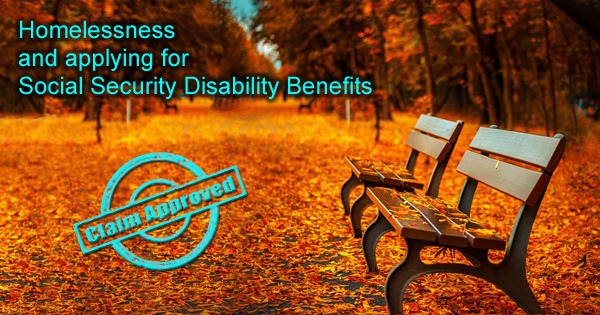 How do you apply for SS disability benefits if you are both disabled and homeless? People who have a disability and are also homeless have the same rights and privileges as individuals who are not experiencing homelessness. The Social Security Administration participates actively in the United States Interagency Council on Homelessness (USICH) in efforts to reduce and end homelessness. People who have a disability and are also homeless have the same rights as those who are not experiencing homelessness. There are several ways for them to apply. Social Security Disability Income (SSDI) benefits are paid to people who cannot work due to a medical condition that is expected to last at least 12 months or end in death. Additionally, the Supplemental Security Income program (SSI) pays benefits to disabled adults and children who have limited income and resources. The application process can be daunting for a homeless person with few resources so it is important for a homeless person to inform Social Security that they are homeless so that Social Security can assist with the application. There are several methods an indigent individual can use to apply for assistance. Have not been denied disability benefits in the last 60 days. They may also be eligible for Supplemental Security Income if they meet the following requirements. 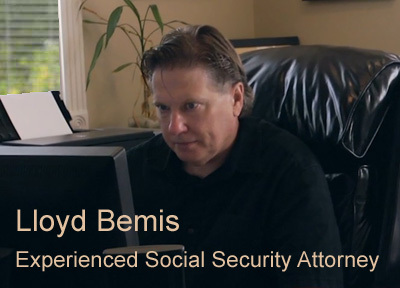 Are applying for Social Security Disability Insurance at the same time as your SSI claim. A Social Security representative will contact the claimant when the application has been completed if any additional information is needed. (TTY 1-800-325-0778) between 7 a.m. and 7 p.m. and scheduling an appointment. Service providers can help individuals experiencing homelessness complete part of their application online, provide transportation to interviews, and help gather medical information. SOAR (SSI/SSDI Outreach, Access and Recovery) is a program created to assist adults who are homeless or at risk of homelessness in applying for SSI and SSDI. SOAR provides training to service providers on how to complete SSI and SSDI applications and is available in all 50 states. For more information about SOAR see https://soarworks.prainc.com. The name, Social Security number and date of birth or age of applicant’s current spouse and any former spouse. Applicant should also know the dates and places of marriage and dates of divorce or death. Names and dates of birth of claimant’s minor children. Applicant’s bank or other financial institution’s Routing Transit Number and account number, if benefits are to be electronically deposited. Name, address and phone number of a contact person who is familiar with applicant’s medical conditions and can assist with the application. Names and dates of medical tests applicant has had and who requested them. The amount of income applicant earned last year, if any, and this year. The name and address of any employer(s) for this year and last year. A copy of applicant’s Social Security Statement. The beginning and ending dates of any active U.S. military service before 1968. A list of the jobs (up to 5) that applicant had in the 15 years before applicant became unable to work and the dates applicant worked at those jobs. Information about any workers’ compensation, black lung, and/or similar benefits applicant filed, or intend to file for. A relative or third party can be assigned as a representative payee. A representative payee is a person, agency, organization or institution chosen by SSA to manage a recipient’s benefits when the agency determines the person is unable to do so. Before a representative payee is appointed, SSA will evaluate medical information and other evidence concerning the recipient’s ability to manage their benefits. Among those who can serve as representatives are relatives, friends and spouses, health care providers, and social service agencies. It is the responsibility of a representative payee to use the recipient’s benefits in the recipient’s best interests. After paying for basic needs such as food, clothing and medical care, the representative payee must save any money left for the recipient, preferably in an interest-bearing bank account. The SSDI and SSI application process can be extremely challenging for a disabled person experiencing homelessness, but it is not impossible to achieve success. For more information, see https://www.ssa.gov/homelessness.